The compressive strength of hardened cement is the most important of all the properties. 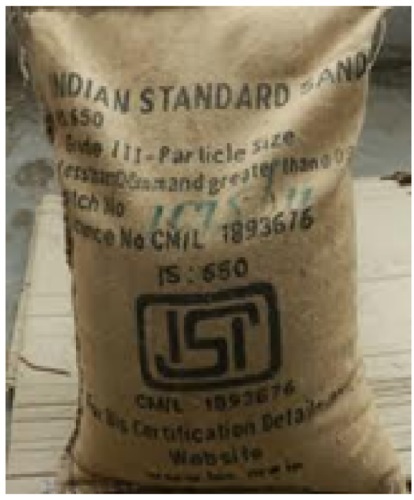 Therefore, it is not surprising that the cement is always tested for its strength at the laboratory before the cement is used in important works. Strength tests are not made on neat cement paste because of difficulties of excessive shrinkage and subsequent cracking of neat cement. 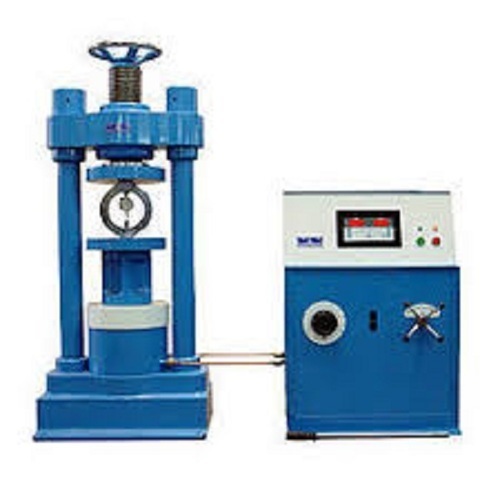 Compression Testing Machines conform to IS: 14858(2000) and calibrated with an accuracy of ± 1% as per the requirement of 1828(Class1). 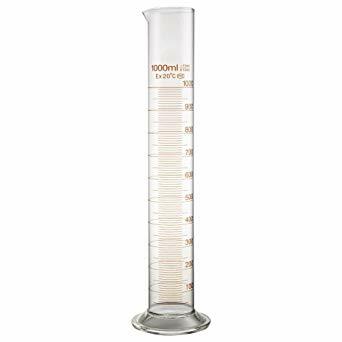 Graduated glass cylinders of 150 to 200 ml capacity. The permissible variation on these cylinders shall be ± 1 ml. The main graduation lines of the cylinders shall be in circles and shall be numbered. The least graduations shall extend at least one seventh of the way around, and, intermediate graduations shall extend at least one-fifth of the way around the cylinder. The graduation lines may be omitted for the lowest 5 ml. Preparation of test specimens - Clean appliances shall be used for mixing and the temperature of water and that of the test room at the time when the above operations are being performed shall be 27 ± 2°C. Potable/distilled water shall be used in preparing the cubes. Place on a nonporous plate, a mixture of cement and standard sand. Mix it dry with a trowel for one minute and then with water until the mixture is of uniform colour. The quantity of water to be used shall be as specified in step 2. The time of mixing shall in any event be not less than 3 min and should the time taken to obtain a uniform colour exceed 4 min, the mixture shall be rejected and the operation repeated with a fresh quantity of cement, sand and water. Moulding Specimens - In assembling the moulds ready for use, treat the interior faces of the mould with a thin coating of mould oil. Place the assembled mould on the table of the vibration machine and hold it firmly in position by means of a suitable clamp. Attach a hopper of suitable size and shape securely at the top of the mould to facilitate filling and this hopper shall not be removed until the completion of the vibration period. Immediately after mixing the mortar in accordance with step 1 & 2, place the mortar in the cube mould and prod with the rod. Place the mortar in the hopper of the cube mould and prod again as specified for the first layer and then compact the mortar by vibration. The period of vibration shall be two minutes at the specified speed of 12000 ± 400 vibration per minute. 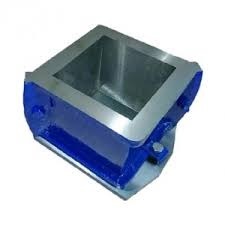 At the end of vibration, remove the mould together with the base plate from the machine and finish the top surface of the cube in the mould by smoothing the surface with the blade of a trowel. Curing Specimens - keep the filled moulds in moist closet or moist room for 24 ± 1 hour after completion of vibration. At the end of that period, remove them from the moulds and immediately submerge in clean fresh water and keep there until taken out just prior to breaking. The water in which the cubes are submerged shall be renewed every 7 days and shall be maintained at a temperature of 27 ± 2°C. After they have been taken out and until they are broken, the cubes shall not be allowed to become dry. The cubes shall be tested on their sides without any packing between the cube and the steel plattens of the testing machine. One of the plattens shall be carried on a base and shall be self-adjusting, and the load shall be steadily and uniformly applied, starting from zero at a rate of 35 N/mm2/min. The measured compressive strength of the cubes shall be calculated by dividing the maximum load applied to the cubes during the test by the cross-sectional area, calculated from the mean dimensions of the section and shall be expressed to the nearest 0.5 N/mm2. 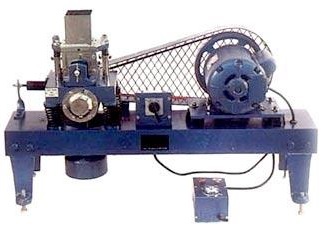 In determining the compressive strength, do not consider specimens that are manifestly faulty, or that give strengths differing by more than 10 percent from the average value of all the test specimens. 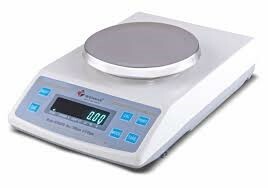 After discarding specimens or strength values, if less than two strength values are left for determining the compressive strength at any given period, a retest shall be made. The average 3 Days Compressive Strength of given cement sample is found to be …..….. The average 7 Days Compressive Strength of given cement sample is found to be …..….. The average 28 Days Compressive Strength of given cement sample is found to be …..…..